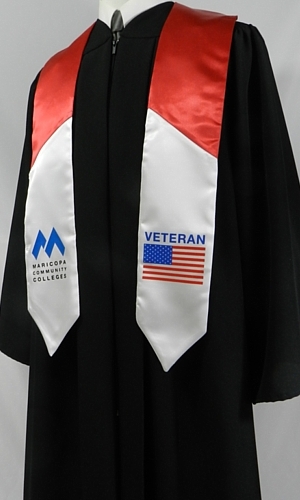 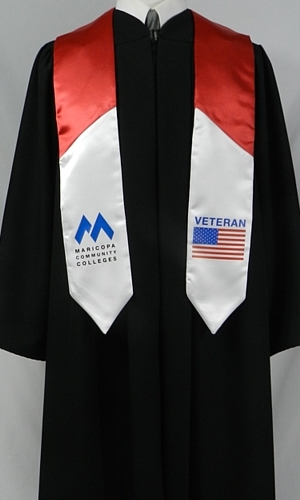 Perfect for extending appreciation to your graduating veterans and to celebrate their service to our nation, our satin Veteran Stoles provide visual recognition for the student while adding color and formaility to the graduation ceremony. 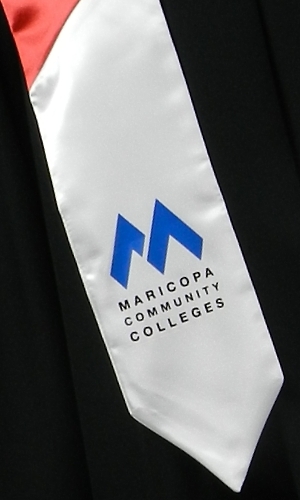 These stoles are available in a specific design and can be customized with your college or university's name and logo. 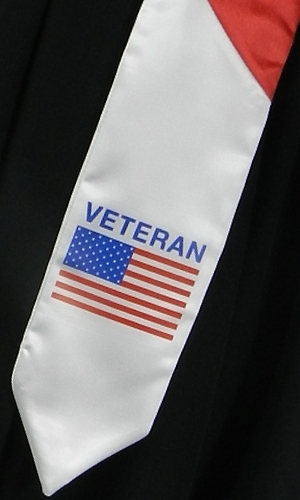 Our 3-color recognition cords are another means to bring recognition to servicemen and servicewomen. These cords can be purchased as single cords, or tied together to form a double cord. 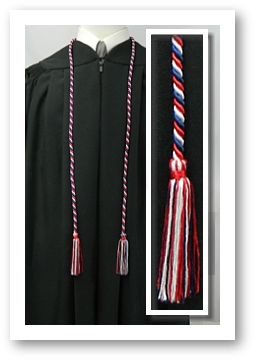 Available in red-white-royal or red-white-navy, our Veterans Cords offer an inexpensive way to honor those who serve. 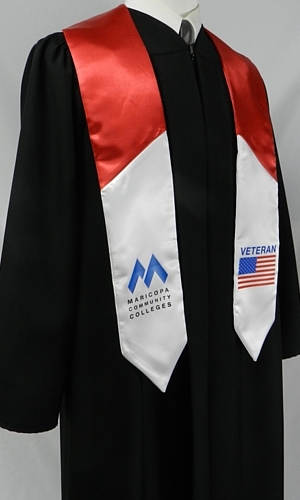 SHOWN ABOVE: Our pennant style Veteran Stole crafted of bright red and white satin with images and lettering screened on the bottom panels.